I think you did a fine job on the body. Great details. Looks sharp. 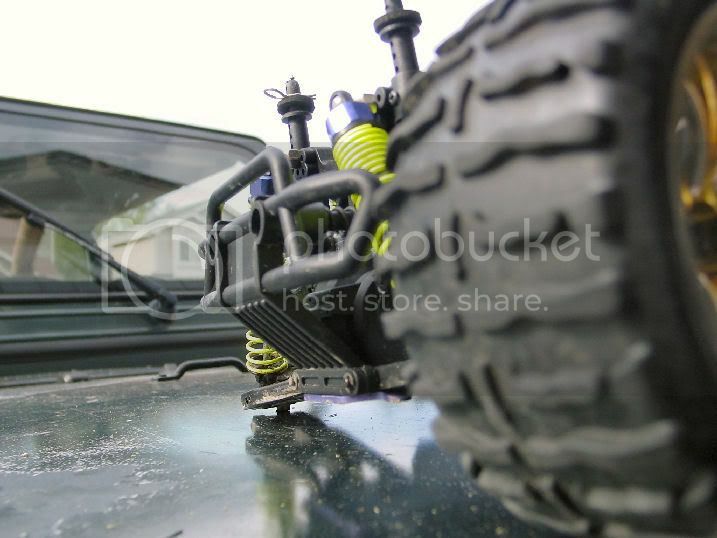 nice shocks....where u get em? Here are some pics of my Forza I painted. I also just painted mine and my wife's T-Maxx's. This is my new Ready to Run Nitro Gas RC Buggy Beginner Version, VX 16 Engine,AM Radio Fire Black .16 Engine. Nice pictures. I got the same model, except mine is Fireblue. I'm happy with it, works well. Yeah i love mine. I got some ideas for it already. 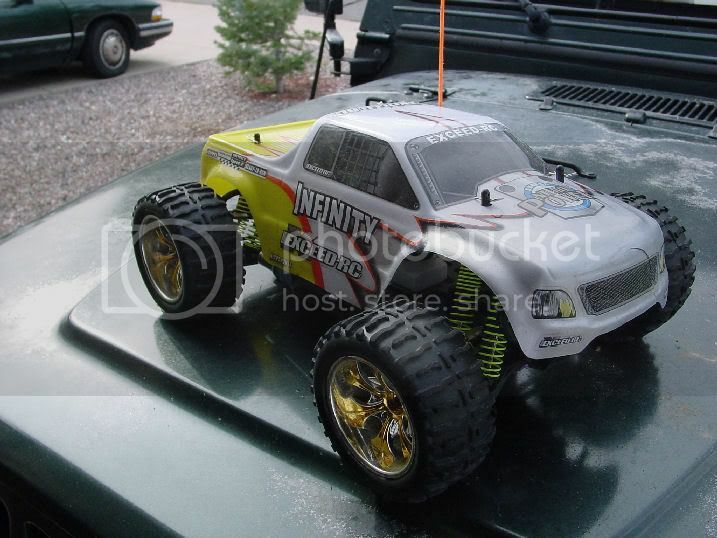 i don't have an exeed rc yet but hears a pic of the rc i've been driving for the past few months.it's a flame thrower 3 from radioshack my nabor gave it too me about 4 months ago.it's a pretty good rc car i just need a new ramote for it.not sure how fast it goes i'm thinking between 10-15 mph. Pics of my Infinity. Is it wrong to love the smell of burnt Nitro and dream of pimping your ride? Send a private message to Nitro J. Find More Posts by Nitro J.